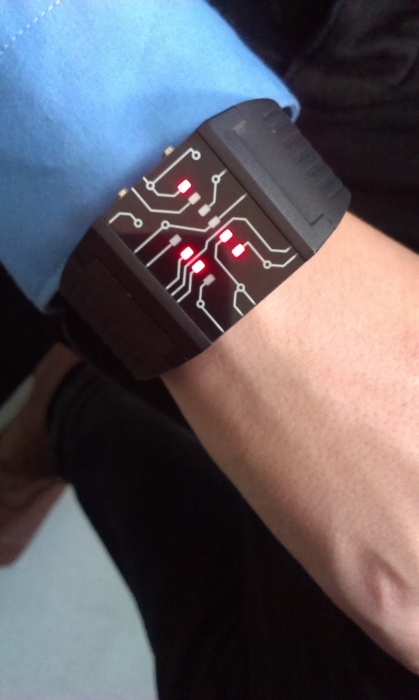 This wrist watch displays the time in binary mode. 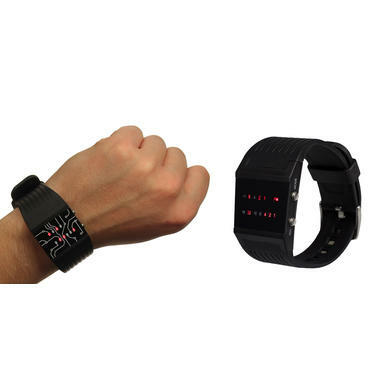 Fancy wrist watch which displays time in binary mode. Available in two different versions: With numbers for beginners and without numbers for pros. 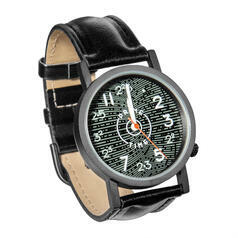 So, you're looking for a really distinguished-looking watch for your wrist, right? 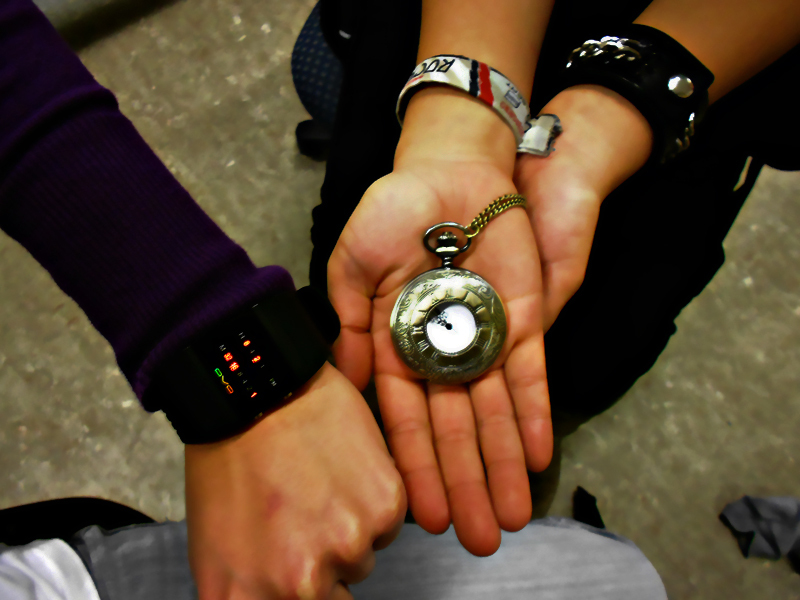 But you find all those analogue watches just soooo boring? Maybe even the modern digital ones don't get you rushing off to the store? Well, look no further! 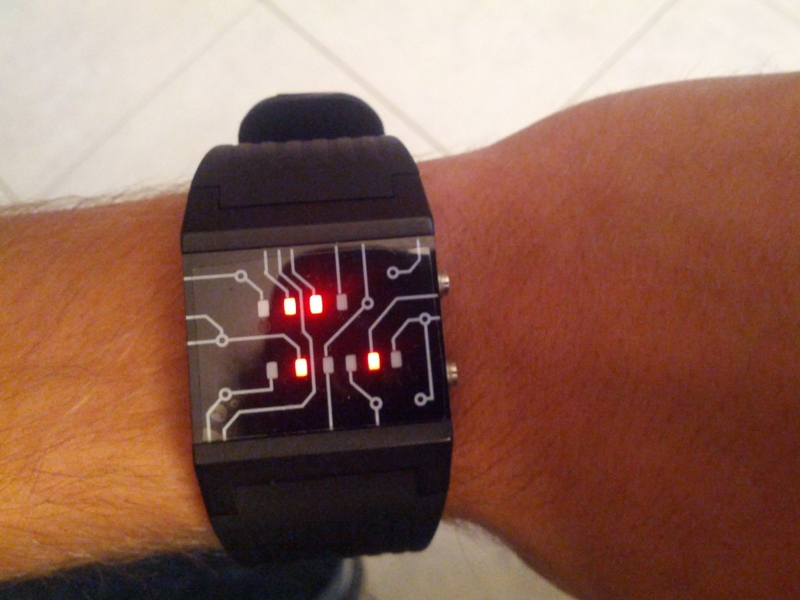 Here's the perfect, geeky, and totally original, solution: The Binary Wrist Watch. It's attractively shaped, neat, whilst proudly showing off your geeky identity in a subtle yet distinctive way. 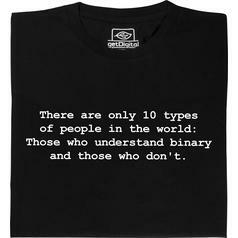 Does it sound a little complicated? Actually, it totally isn't once you get the hang of it! NEW: For the real pros among you, we now offer a version that operates completely without numbers! 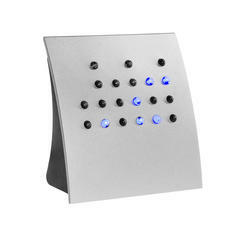 This is a very fancy yet simplistic way to tell the time! 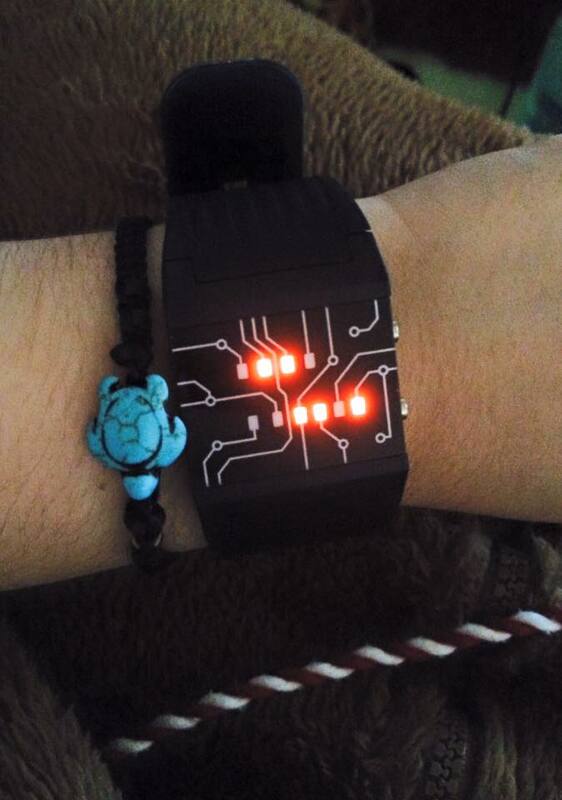 Give your computer-nerd image the finalising touch and buy the Binary Wrist. 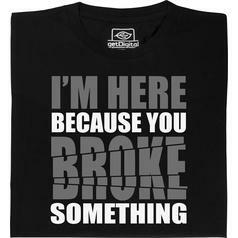 It's so cool that even James Bond doesn't have one of these! 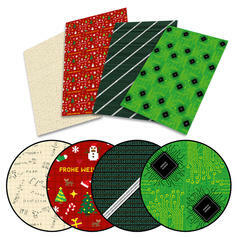 from 44 DKK lade... Geek Wrapping Paper With this paper, you'll be able to wrap your gifts in a geek-friendly way. 112 DKK lade... 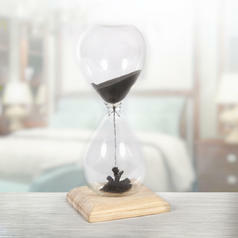 Magnetic Hourglass Time flies like an arrow. 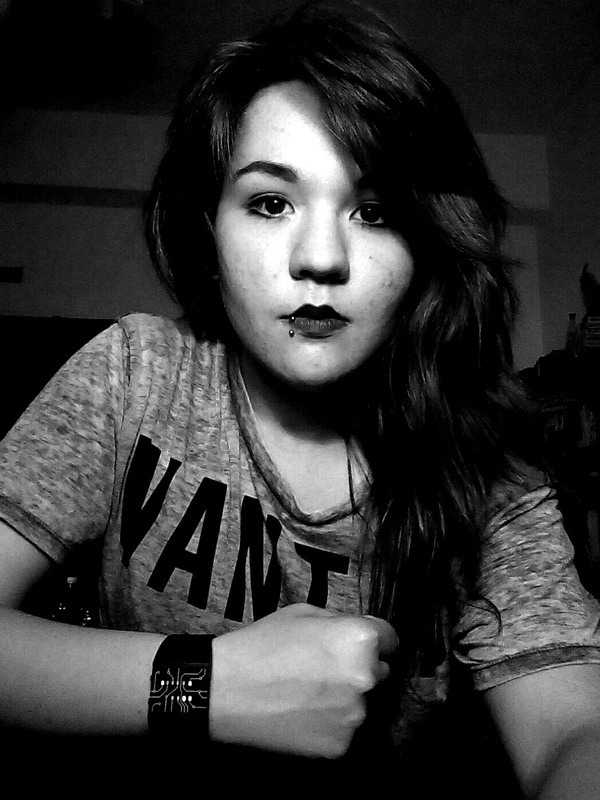 And sometimes like a magnetic hourglass. 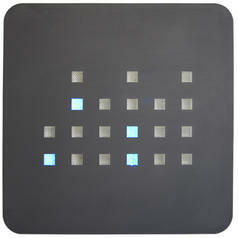 from 560 DKK lade... Binary Wall Clock Our popular binary clock is now also available as a big wall clock! 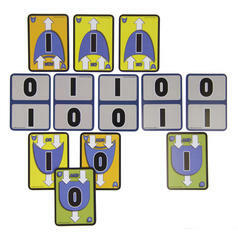 97 DKK lade... bOOleO Card Game This geeky card game is based on the boolean logic. 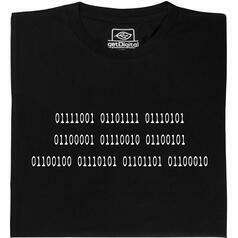 from 149 DKK lade... Fair Geek Wear You are dumb T-Shirt "You are dumb" in binary ASCII-code. 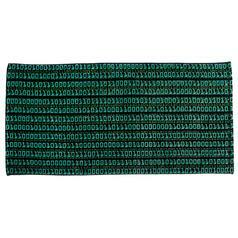 186 DKK lade... Bath Towel Binary High-quality towel with binary imprint. 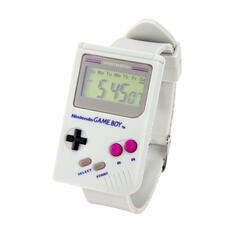 27.03.19 149 DKK lade... Nintendo Game Boy Wrist Watch Finally, you can carry a Game Boy with you wherever you go!